In brief: Without a compelling lunch special, Osteria del Principe is just another Italian joint offering decent pastas at a price point a smidgeon too high to enjoy daily. Though we didn't have pasta yesterday. 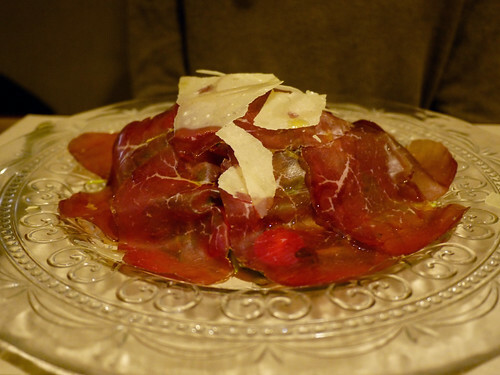 I like a good bresaola salad, and Osteria del Principe makes a good one, though, as always with salads for lunch, I was hungry by early evening. There is an over abundance of Italian restaurants in the Flatiron, ones that serve good pasta with nice sauces, but that cost upwards of $15 a plate. And every time we eat at one, we can't help but leave wishing a little outpost of Pepe Rosso would come to the 'hood. They would do exceedingly well here.